Companies like Airbnb and Uber seem to have less control over customer experience and seem to be managing multiple stakeholders whose interests are sometimes at odds. How does that impact the way you design customer experience? This question was posed to Dom Goodrum, VP of Design and Employee Experience at Percolate, a marketing software firm, and me during a webinar we recently gave, “Beyond Branding: Designing Brilliant Customer Experiences.” We discussed what characterizes brilliant customer experiences and how to design, manage, and deliver them. You can view the webinar on demand here. 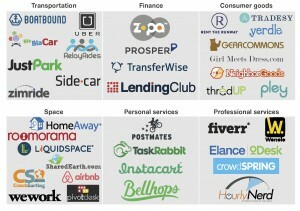 Companies in the sharing economy do indeed have a complex array of stakeholders that touch the customer experience. Not only are there executives and employees like at other companies, but stakeholders such as service providers (e.g., Uber drivers), app stores (e.g., iTunes), airports and other gatekeepers, and even legislators and regulators play a role in the end-customers’ experience. When you have that many people/groups involved, it is critical that you clearly articulate the clear purpose and values of your brand and you cultivate one common understanding of them across all stakeholders. You want to help everyone understand what you stand for, the role you want to play in the world, and how you’re meant to play it. And for your service providers specifically, you need to help them understand what to do and what not to do to interpret and reinforce your brand appropriately in the customer experience. As much as possible, you should use with all stakeholders the same kinds of tools, training, and experiences you use with employees to align their decisions and actions. Keep in mind that, stakeholders can play a valuable role in helping you understand what customers want and need. And if they’re engaged properly, they can be your biggest brand ambassadors. Having open, transparent, two-way communication will go a long way to improving your customer experience. Finally, you also want to attend to your stakeholders’ experience with your brand. Apply the same design and management process and standards to your stakeholder experience as you do to customer experience. Do you know your stakeholders’ wants and needs? Do you provide a differentiated and compelling experience to them? Are you expressing your brand consistently to them? A great stakeholder experience impacts the end-customer ultimately — and often directly. In the sharing economy, you might have less control over customer experience, but if you engage your stakeholders well, that can be a good thing. One great illustration of that principle in particular, and one that appeals to me as a designer, comes from a story I mentioned briefly during the webinar: Airbnb’s Project Snow White. Project Snow White was a storyboarding exercise inspired by CEO Brian Chesky’s readthrough of a Walt Disney biography. Snow White and the Seven Dwarfs was Disney’s first-ever feature length film; throughout the process, storyboards (a then-recently invented tool) kept all the artists and collaborators aligned and informed of Walt’s final vision. Chesky, whose team was deciding what their next big move would be, wanted to create clear stories of not just the ideal customer journey for guests booking Airbnb rooms, but also for those placing a listing. So the team came together to depict the customer journey. The iterative and lightweight approach that comes with sketching out scenes of a storyboard gave employees from all disciplines the confidence to contribute ideas on how best to deliver the best experiences for hosts and visitors. Once the team had the core journeys mapped out, they then brought in an animator from Pixar to create final narratives comprising the most emotional moments of a guest’s or a host’s journey. These storyboards came to be a single source of truth for teams across the company, including marketing, sales, and product, and they’re hung on the walls of Airbnb’s headquarters. These have made a material impact already, as Fast Company has reported. For instance, Airbnb teams realized that much of the journey takes place offline, so they reoriented toward investing more heavily in mobile — even acquiring a mobile restaurant review company. The process worked so well that they created a third storyboard for the candidate-hiring process. 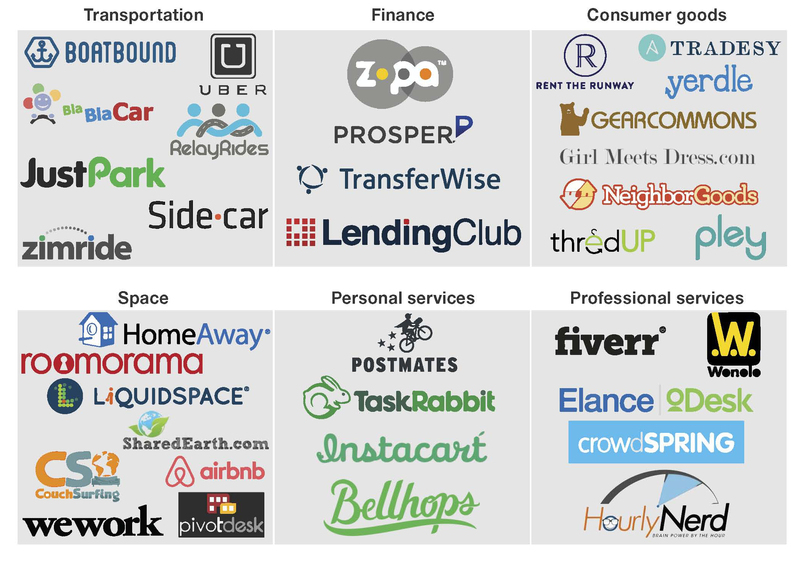 The takeaway here is that when you’re in the sharing economy and you are dependent on many autonomous people for your business, it pays to paint a clear picture (sometimes literally) of the journey each of your key “characters” has with your brand. When there’s a disconnect between those journeys, that’s a signal that you need to step in and reconcile, fix, or otherwise adjust matters. When those journeys are in-sync, however, it’s a sign of a harmonious experience for both the end-user and for the service provider. It can be hard to map out yet another set of interactions with your brand, but it’s worth it when they impact your end customer directly. If you missed our webinar, Beyond Branding: Designing Brilliant Customer Experiences, you can access the replay right here. This post was originally published on Percolate’s blog here.